The familiar high-wing Auster AOP6 was used for observation and spotting duties with the Army. 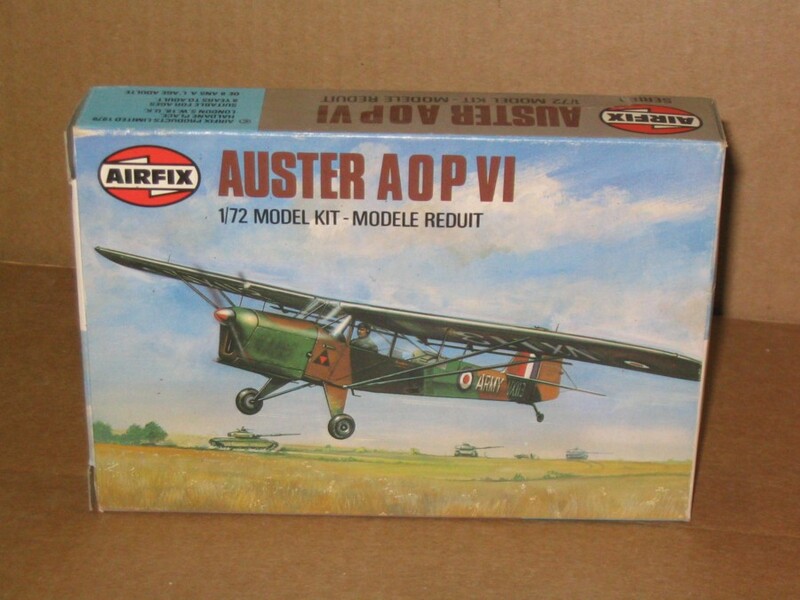 This detailed 1:72nd scale kit has optional parts and full painting guide for a typical Army Air Corps Auster. "Confusing in Airfix Catalogues, 01069-2 is listed as both North American P51B Mustang (15th Edition) and Auster AOP.6 (17th Edition)."